We're a small organic farm based just outside Cambridge. You can stay with us or find out more about our local produce. 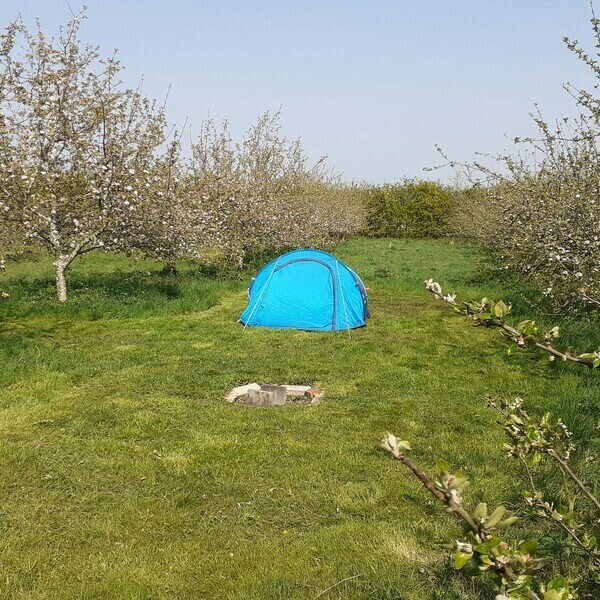 We have 4 grass pitches dotted amongst the 100 apple trees in our orchard. We keep the pitch areas and pathways cut but allow the rest of the orchard to become a meadow. 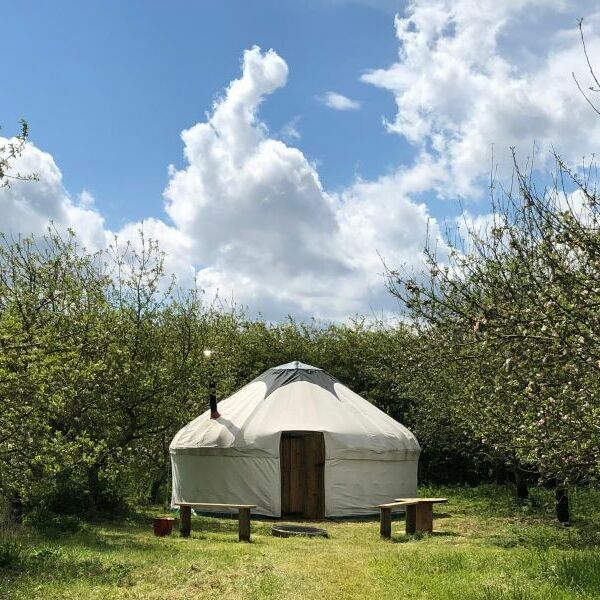 Our handcrafted yurt is equipped with a king size bed and a mini woodburner and sleeps up to 4 adults or a family of 5. 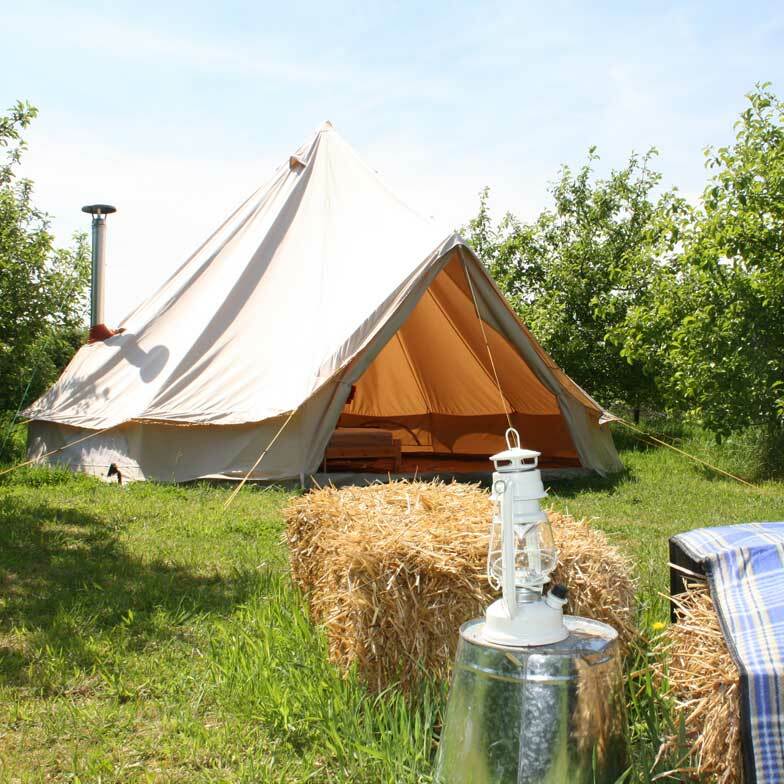 Our traditional bell tent is equipped with a double bed and a mini woodburner and sleeps up to 4 adults or a family of 5. 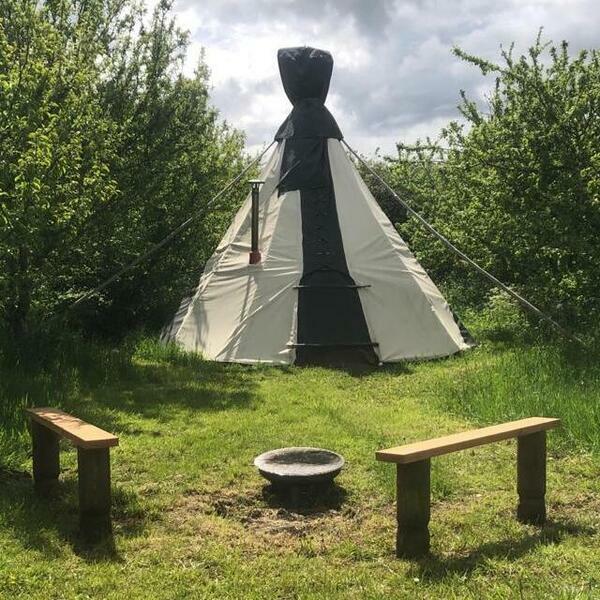 Our traditional tipi has had a makeover, with a new double bed and woodburner. The tipi will sleep up to 3 adults, but is ideal for 2 adults and 2 children. 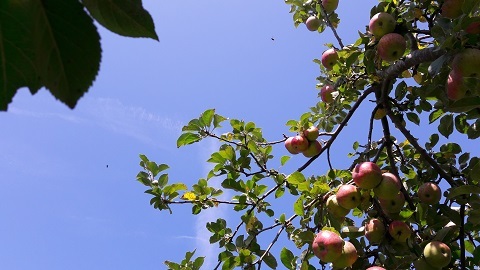 The farm produces organic arable crops and apple juice. We also have a small stable yard and menage and provide DIY livery for up to 8 horses. Pick a date and book your green getaway. © Copyright Fen End Farm 2017 - 2019. Website by Edward Robertson digital design.